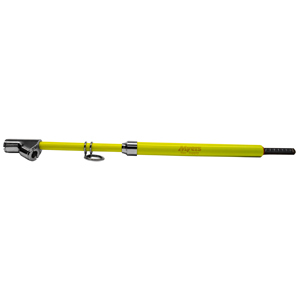 Introducing the Myers U-Pro Hybrid 2.0 Universal TPMS sensor. Dual frequency covers 314.95, 315, 433.95 and 434 MHz. Two valves in one box to easily swap between snap-in and clamp-in valves. 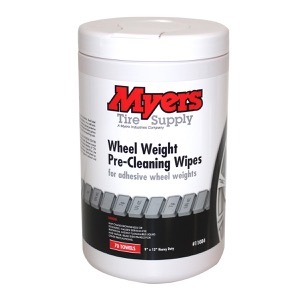 Brake cleaner is the #1 volume petroleum solvent used in service operations. After oil changes, brake service is typically the most common service performed. The Groove Glove™ provides detailed tire tread depth and vehicle alignment recommendations utilizing the same powerful software used by Tire Profiles. Quickly complete a vehicle scan anywhere in the service facility. 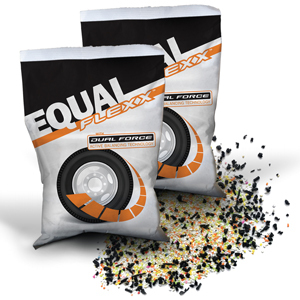 The PATCH RUBBER Tire Repair Starter Kit contains: 1 Box of 1/4" Pilot Wire Patch Plugs, 1/2 Pint Fast-Dry Cement, 1 Pint of Repair Sealer, 1 Quart of Cleaner Fluid. This kit also Includes 1 FREE Markal Paintstik, a box of 10 Myers heavy-duty black nitrile gloves and a heavy-duty storage container. How much time and money are you losing while you are not tracking and monitoring your inventory? Calculate your potential savings. 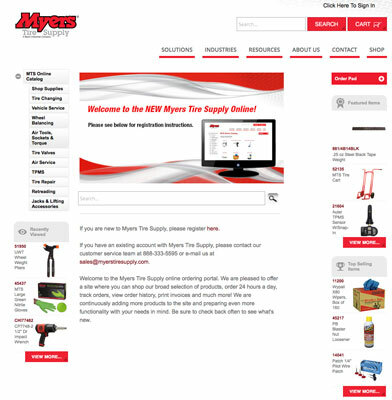 Myers Tire Supply distributes a complete line of tire valve hardware, tire patches, tire changing tools, equipment and back shop supplies. We are also the automotive aftermarket’s source for solutions to help better manage your business. These programs are presented to customers through our knowledgeable sales representatives and on this new website. Be sure to check back often for updates. Our network of four distribution centers, delivers in stock orders to 98% of the U.S. in two days or less. Visit our online store to place quick and convenient orders. We are pleased to offer a site where you can shop our broad selection of products, order 24 hours a day, track orders, view order history, print invoices and much more!